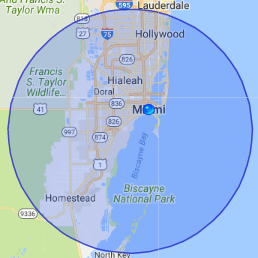 Our water damage Naranja team with 911 Restoration Miami is available 24/7/365 and why we respond within 45 minutes of every call no matter what size project you have. Water damage is most commonly caused by storms or plumbing issues and all homes and businesses are vulnerable. Water damage can quickly cause severe structural problems to your home. 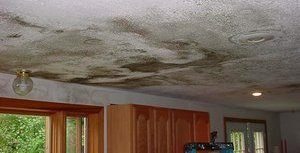 Your house can be fortified with the most resilient weather-proof materials, but water can still soak into the foundation or get in through imperfections in your roof requiring immediate water damage restoration services by our water damage Naranja company. Once a popular stop on the Florida East Coast Railroad, Naranja is home to many residents and also the site of orange groves that help stimulate the local economy in orange juice production. Our water damage Naranja crew members are passionate about performing water extractions in this special community, so give us a call and while we perform our restoration services we will explain why your water damage happened. 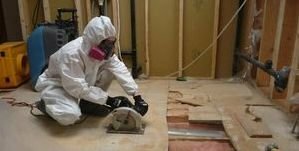 Water damage can affect your home when absorbent materials like concrete, woof and drywall take on moisture, and our water damage Naranja specialists are standing by ready to rescue your home from any scenario. These materials may seem hardy, but they act like a sponge. When standing water is allowed to reside from ruptured hoses or fire sprinklers erupting, your construction materials act like a sponge and expand while taking on water. When concrete ex[ands it cracks and wood can quickly rot. This is why our water damage Naranja use the latest drying technology; we want to ensure your home is safe and the structure is stable. If your roof or foundation takes on water damage you run the risk of having the structure shift. Go ahead and learn more about 911 Restoration Miami and you will feel confident calling us in the event of any household flooding. In fact phone us today and we will give you a free inspection and teach you how to minimize future water damage! You can minimize water damage by having your plumbing inspected, and our water damage Naranja technicians also say to install sump pumps in the crawl space. Some other preventative tactics to put on your to-do list is gutter cleanup. Make sure all of your gutters and downspouts are clear and nothing is blocking rainwater from flowing out and away from your roof and house. Installing a sewage back flow valve will also help prevent water damage from a toilet overflow and will stop some cases where sewage can spill back into your home if your sewer backs up in a rain storm. This is a vital investment to make and could save you thousands of dollars in clean up costs down the road. If your property is already forcing you to deal with category two flooding situations, then contact our water damage Naranja team with 911 Restoration Miami immediately and we’ll be there to take care of you and your home today!